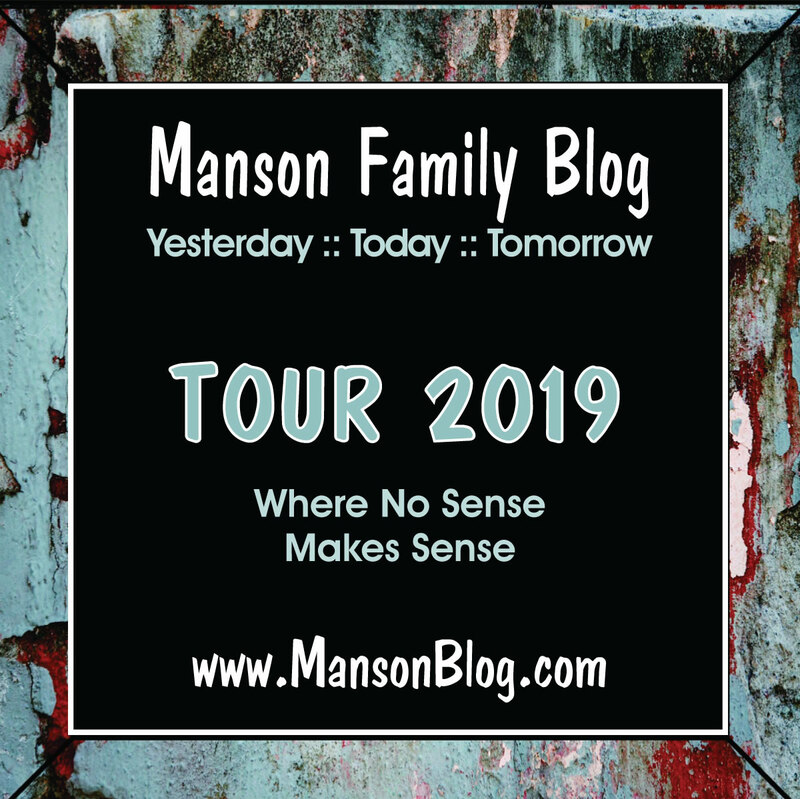 A new TV movie, Manson's Lost Girls, is set to debut February 6th on the Lifetime channel about the Family as seen though the eyes of Linda Kasabian. MacKensie Mauzy, portraying Kasabian, is the lead actor. I don't have high hopes for this production though I'm sure I will set the recorder and watch it at some point. Lifetime is known more tugging at heartstrings than getting things right. The very fact that they have made the movie from Kasabian's perspective is telling. LOL, no I did not see her name on the cast and crew list! I tried to find if Kasabian was a consultant but I could see no trace of her at the IMDb site. If she was she should pay any money she earned to the Frykowski law suit. She was named on that suit, too. I guess it's impressive that the show is actually spending money on original 60's soundtrack music from big names of the time. This is movie # what made in the last two years? I wonder what Debra Tate has to say. If I remember correctly, Doris and Paul Tate were never happy with Kasabian getting immunity and wanted to see her convicted along with the others. She was only a hero because she was given the opportunity to be one and Bugliosi needed her. Good job of casting this one. The beautiful people vs. the beautiful people. I'm looking forward to the part where where Linda steals $5,000 to give to Charlie, but instead spends it on botox and lip injections. When Charlie gets back from his mud bath and facial at Esalen day spa and finds out that Linda blew the funds for his 'tip refinement' rhinoplasty, he'll be livid. "She (Linda Kasabian)ultimately breaks away and turns herself in as a witness for the prosecution and helps to convict Manson." AND that is exactly WHY we have BOOKS, MOVIES and story tellers. There ALWAYS has to be a "Good Guy," "Hero" (Dragonslayer) or you have NO God, Devil, "Bad Guy." The famous "Prosecutor" is finally DEAD, so is it NOT time for a female super "hero." I'm waiting for the scene with Lotsapoppa / Opera Winfree doing the trans-reformer thing! I just received my copy of Ed Sanders' book, SHARON TATE A LIFE. I'll probably start reading it next week. Flipping through it I noticed that there are few photos and lots of drawings. Looks strange. There is a long post about the book at www.lsb3.com. Sanders alleges a lot of weird and interesting things. Patty is interested in Ed's book but the Sirhan Sirhan stuff sounds like bunk to her. It's in ten episodes and even the law & order guy Rush Linbaugh says it grabs you. So has anyone seen it, and would comment on it? Because it sounds like something I would be interested in pursuing? God knows the Manson Case has NEVER been an open and shut Judicial Affair. And IF the general public is finally READY for something lengthy, intelligent and entertaining, I may make an addition to MY Bucket List. PS Patty: There were two EXTRA bullet holes in the WALL that Sirhan could NOT have put there. The Cops removed the piece of wall, as they should have, photographed it, as they should, BUT the wall has disappeared. Only the photo remains AND nobody really cares anymore. Just as nobody really cares how many were involved in the JFK assaination. BUT apparently - the Manson Case will NEVER end. WHY is that ? I'd like to see a full blown documentary called "The Making of Manson" and trace the entire case starting with the bogus confession of Susan Atkins and her two mafioso attorneys to the pre-trial publicity to the trial and so on. Of course, that is only a pipe dream. They would not ALLOW a documentary like that to be made. Not to mention most of the main players are dead now and Charlie isn't allowed video interviews anymore. None of those convicted would agree to be involved either. I think most of the juicy stuff with this case never made it to record. I doubt the truth is anywhere on file. Speaking of Kasabian, isn't it odd that Bugliosi recorded interviews with everyone except Linda Kasabian? Supposedly there were notes made by her that Ed Sanders got access too, but no recorded or documented conversations. I'm surprised there isn't a Helter Skelter Denial law. In regards to professors and just recently, an 80+ year old woman being jailed for daring to question the Holocaust, somebody said truth doesn't need protection. You also hear another common phrase, "history is written by the victors". 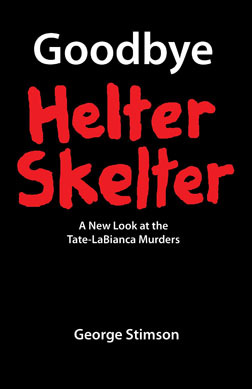 Helter Skelter is the #1 best selling true crime book of all time and go and watch those old TV shows where anyone who questioned the "truth" was treated like a leopard. Like Schreck on Maury Povich. Yet, Schreck dedicated a whole chapter to what a bunk story Charlies alleged trip to Cielo in March of '69 was and in the new Sanders book, Shahrokh Hatami admits he had no recollection of that happening and admits he agreed to it under pressure from not only Bugliosi, but Col. Paul Tate's private investigator. I knew that story was BS along with others and after long winded arguments with others, we were right. I don't understand the comparison of Holocaust deniers to anyone's take on the murders of TLB. The Holocaust is not something that can be denied so I'm confused on what your point is. With respect could you clarify please & thank you. MacKenzie is too hot to play skankaroo Kasabian. Mr Hendrickson. The extra RFK bullet holes, I may be wrong but I seem to recall a certain Vincent Bugliosi was involved in their discovery. The irony being he 'proves' a conspiracy for RFK but the 'disproves' it for JFK. contacted the two men in the photo, sergeants Robert Rozzi and Charles Wright. Chief Daryl Gates, according to researcher Christian). 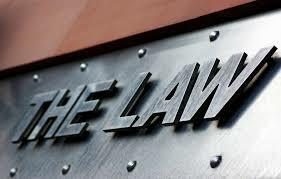 under oath about the matter in a later civil suit. acknowledged by the authorities. Local authorities, that is. publicly, the FBI claimed it had not conducted a formal ballistic examination. explicitly disavow" the report of the four extra bullet holes. the fact they were bullet holes." public the existence of the AP wire photo." I'm reasonably sure that I'll wind up turning this thing off in disgust after the first four minutes. Then due to morbid curiosity turn it back on five minutes later only to keep this cycle going at least three more times until I finally give up on it because I hate myself. even a co-conspirator in the White and Yellow (Vietnam) race WAR. HE could NOT see a conspiracy involved in the JFK killing, BUT had no trouble seeing George Bush as a conspirator in the Iraq WAR. When running for the DA of LA, he could NOT see the conspiracy regarding the RFK killing, but thought "SMOG" was evil cloud hovering over the "city." Charles Manson. BUT he did see himself in Mr. Manson - the powerful genius SELF. I can't imagine a more cruel joke to be played by God on an otherwise normal man. Robert, aren't we all 'otherwise normal' men? I might put that on my headstone. An otherwise normal man.